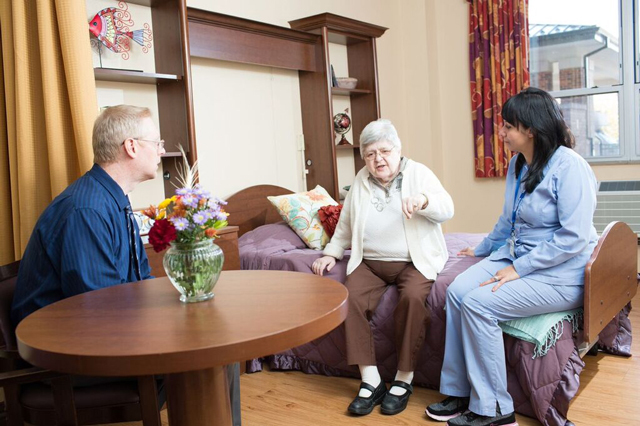 Visitors are very important to our residents, and a well-planned visit can be rewarding for both of you. Generations at Regency believes in the importance of family and friends. We maintain an open-door policy that is effective 365 days a year, including holidays and weekends. Our primary hours are 9am–7pm, but guests may visit at any time. If our residents are meeting visitors outside of normal hours, we ask that a courtesy acknowledgement be given to the staff. The buildings are secured for resident safety and privacy after 9pm so invited family and guests are encouraged to contact staff to make late evening visit arrangements.